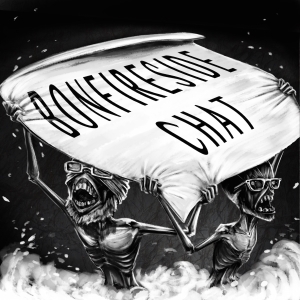 Bonfireside Chat is a "book club style" podcast hosted by Gary Butterfield and Kole Ross. It is similar in format to the network's flagship podcast Watch Out For Fireballs! but significantly more zoomed in and dedicated entirely to the Souls series of games. Starting with Dark Souls, Gary and Kole take a journey through the areas of the game and comment on lore, gameplay, bossfights…everything. The main episodes are released bi-weekly and are followed in the off weeks by 'Appendix' episodes which include Gary and Kole responding to listener feedback on the areas being covered as well as "deleted scenes" from their main recording sessions. Praise the Sun! 36 Forest of Fallen Giants Apr 06, 2014 C.J. 36a Forest of Fallen Giants - Appendix Apr 13, 2014 C.J. 37 Heide's Tower of Flame and the Cathedral of Blue Apr 20, 2014 Lobos Jr.
37a Heide's Tower of Flame and the Cathedral of Blue - Appendix Apr 27, 2014 Lobos Jr.
S7 Special - Dark Souls II Speed Running Nov 16, 2014 Lobos Jr.
83 Fishing Hamlet Jan 24, 2016 Lobos Jr.